ABU DHABI and DUBAI, UAE: PRNewswire: DarkMatter, an international cyber security firm headquartered in the UAE, has been honoured with the “Top Vendor – Enterprise Security” prize at the Global Enterprise Connect (GEC) Awards 2016. 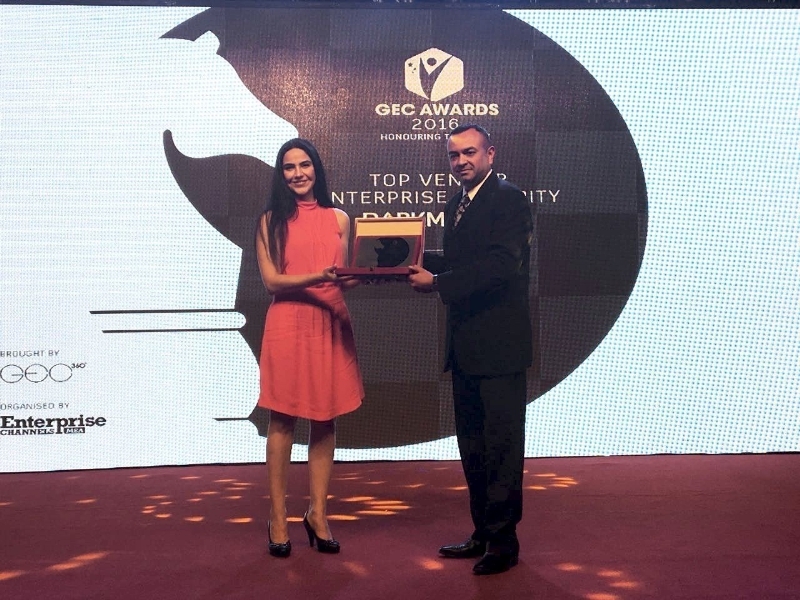 One of the region’s biggest celebrations of IT excellence, the GEC Awards serves as a benchmark for outstanding performance across the IT industry in the Middle East and Africa. DarkMatter was selected by an independent panel of judges for its innovation and continued efforts to push the boundaries of IT security. Since 2015, DarkMatter has successfully deployed complex and highly customised cyber security systems to government and enterprise customers. The presentation of the award coincides with the imminent commencement of GITEX Technology Week 2016, where DarkMatter is the Cyber Security Innovation Partner. It will use the event to continue to raise the profile of cyber security with the view to placing it at the centre of digital transformation. GITEX is the largest annual ICT gathering in the Middle East, running October 16-20 at the Dubai World Trade Centre (DWTC), with DarkMatter exhibiting within Zabeel Hall. Staffed by global experts and headquartered in the UAE, DarkMatter provides peace of mind through consulting and project implementations that are scalable to clients of any size and that address any domain of cyber security threat or risk. As a trusted partner to governments and critical infrastructure entities, the firm also works with leading global companies operating in the field of electronic and cyber security. DarkMatter’s vision is to secure the future by protecting its technologies.